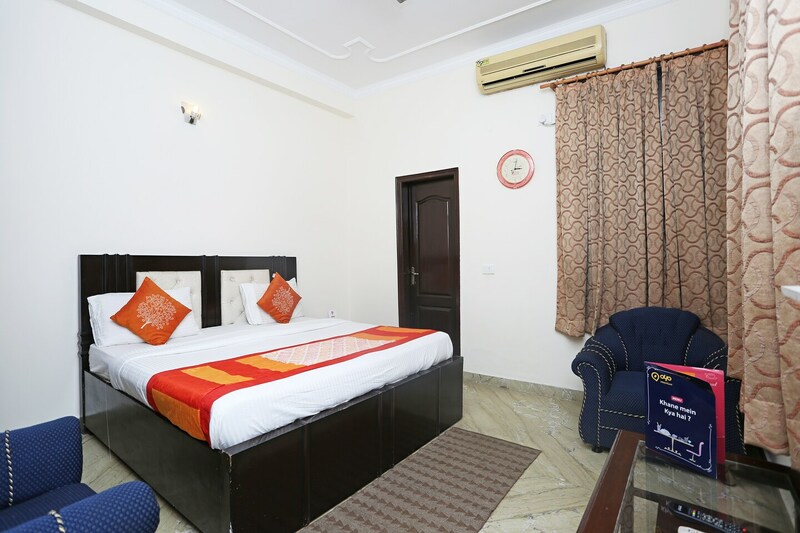 Offering comfort and great services at budget rates, OYO 556 Hotel AVP Guest House in Noida is an ideal lodging for travelers touring the city. The OYO is maintained with a skilled and friendly staff to ensure you have a good stay. The property offers AC, Banquet Hall and more. Explore Noida and visit the famous landmarks and attractions such as Worlds Of Wonder, Akshardham and Shri Kalkaji Mandir among others. There is Kotak Mahindra Bank ATM, HDFC Bank ATM and Axis Bank ATM nearby the hotel so you are never out of cash.